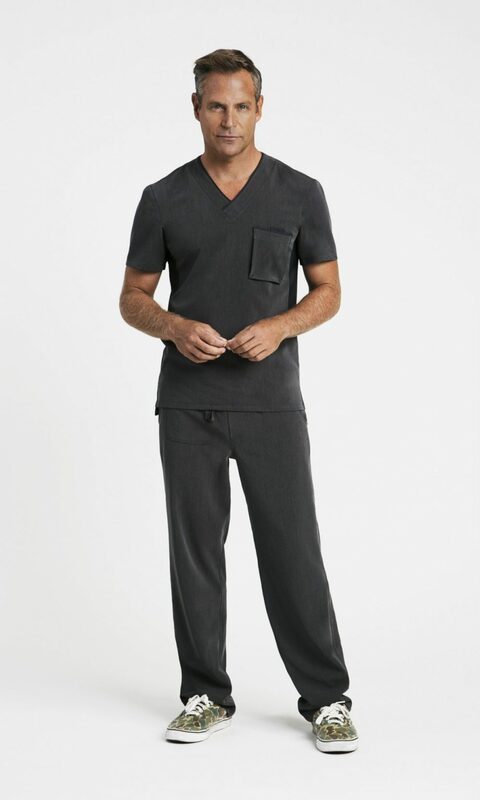 Our Figueroa scrub top for men is engineered with our Stretchflex™ Technology to allow for a full range of movement across the back, arms, and shoulders. Split side vents allow for even more movement and detailed piping and stitching throughout project a sleek, fashionable, and elegant look. 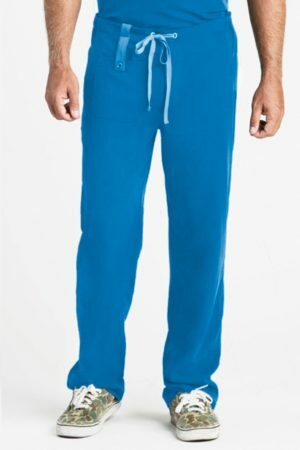 Features an expandable chest pocket which sits flat. 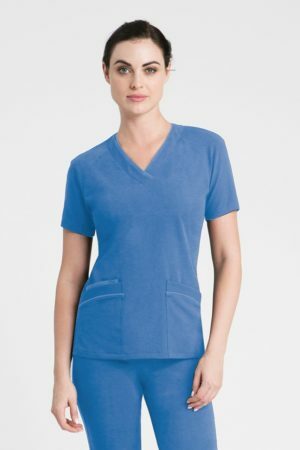 Figueroa scrub tops are made from our Lux fabric line for elegance and durability. 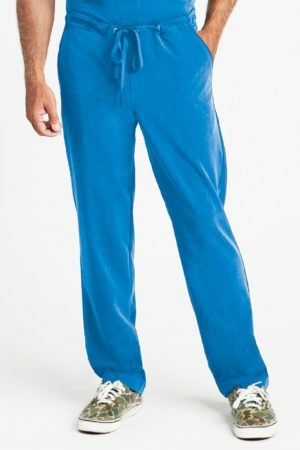 Lux is woven for performance and a full range of motion and is the perfect weight to keep you cool on summer days and comfortable in cooler professional environments. Lux is carefully crafted of 73% Polyester, 22% Rayon and 5% Spandex and tailored with our unique Stretchflex™ Technology panels. 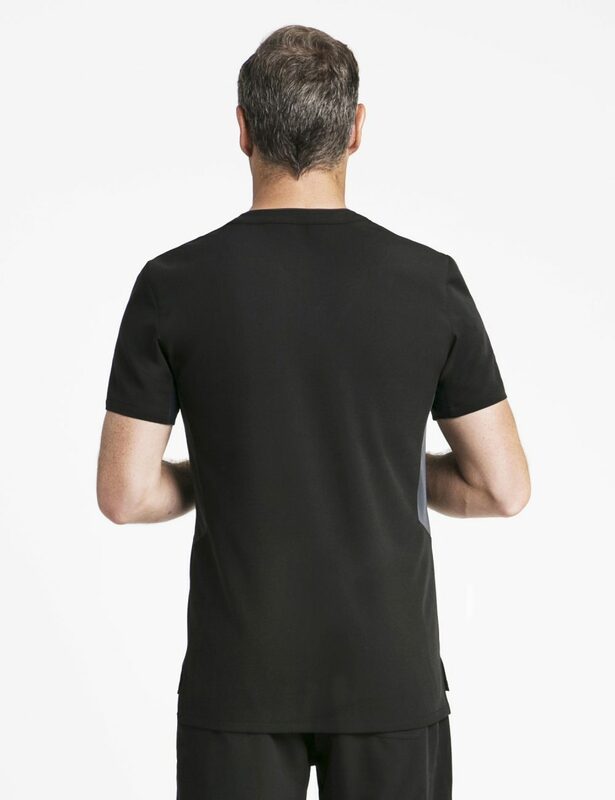 Exquisitely engineered with our unique Stretchflex™ Technology under the arms, allowing for extra stretch, width and movement across the back, arms and shoulders. 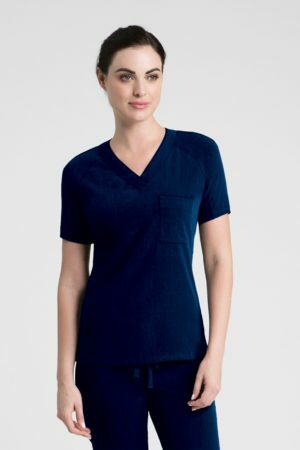 Raglan sleeves for a body-contoured shoulder. Detailed piping and stitching throughout. 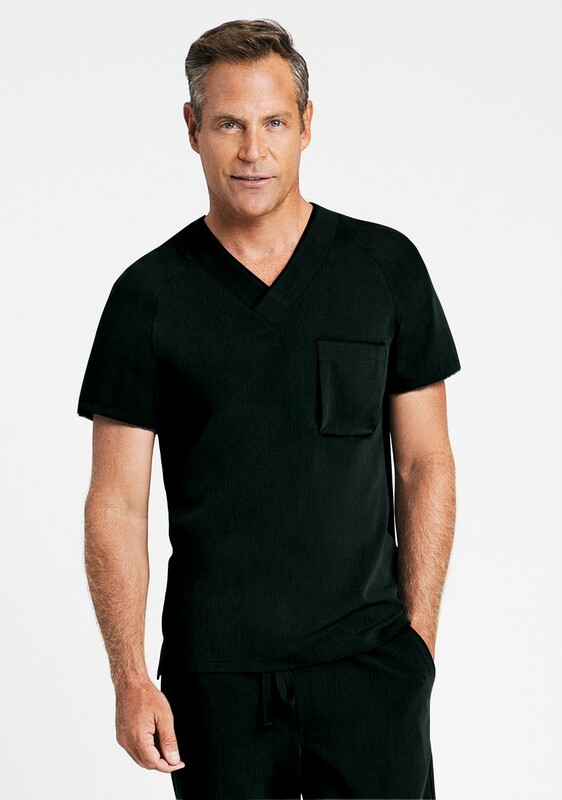 Expandable chest pocket, sits flat while offering extra room if needed. Split side vents at the hem for movement and style.